L'Adroit (P725) is the lead-ship of the Gowind class, a new class of hi-tech offshore patrol vessels (OPV) capable of performing a wide spectrum of roles, for French Navy (Marine Nationale). 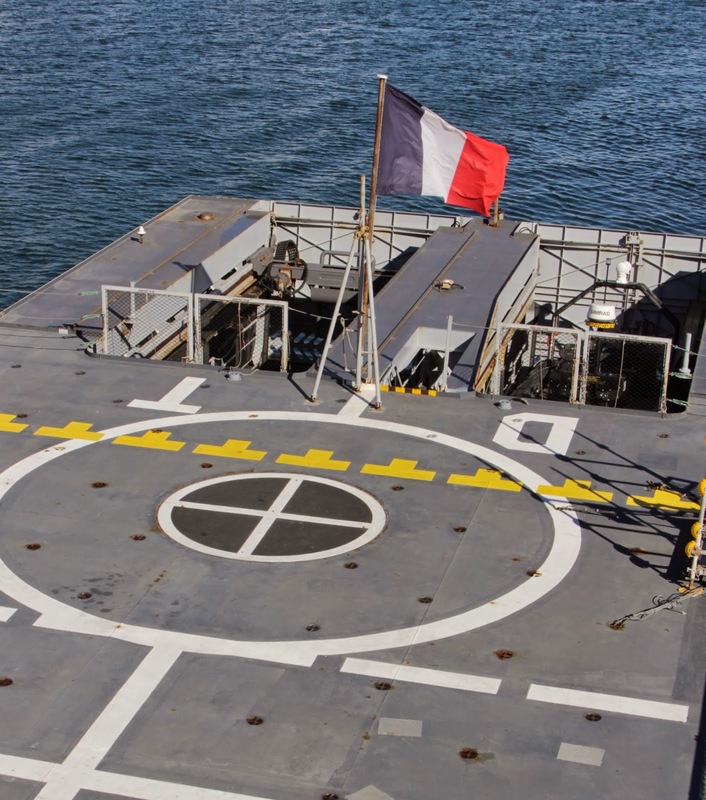 These vessels are designed by Kership, a joint venture between DCNS and Piriou shipyard in Brittany. 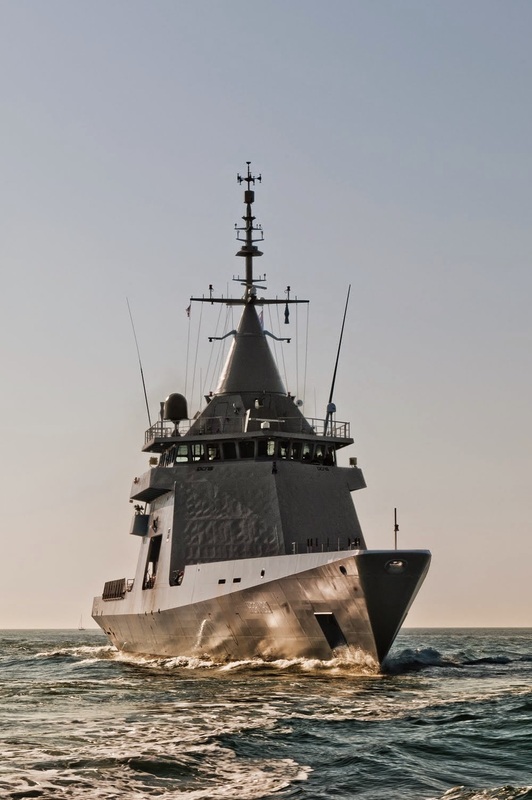 Kership benefits from the experience of DCNS on the naval defence markets and that of Piriou in civilian-standard vessels. L'Adroit is a very innovative design that performs mainly as a testbed for the various electronic systems, equipment and the novel features of the design itself. The vessel was built by DCNS (Direction des Constructions Navales and the Direct Chantier Navel), group on its own funds in 2011 and it has been on loan to the French Navy from October 2011 until the middle of 2015 for trials and to promote it for exports. 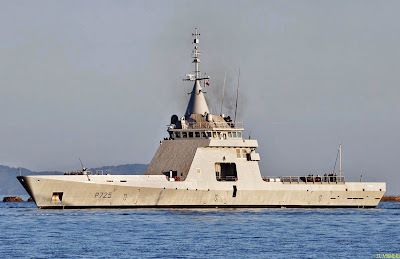 It is worth of mention that this ship's bridge offers a panoramic 360-degree visibility and also this is the first French warship with a single (integrated) mast. 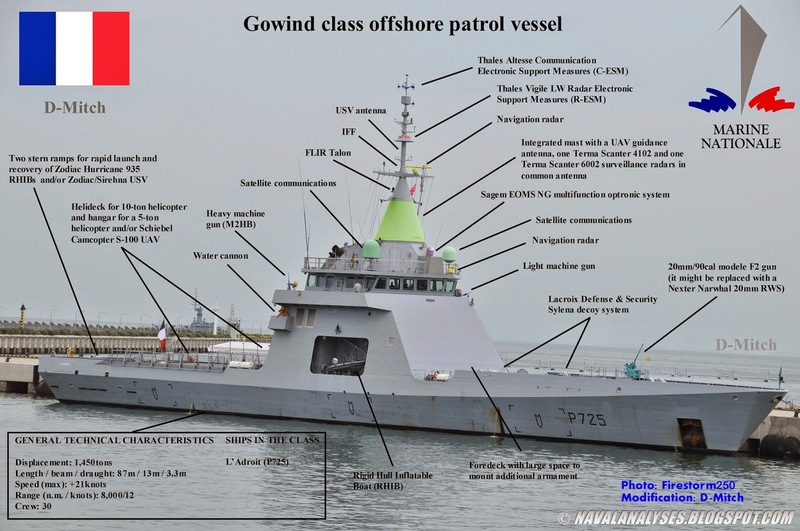 Click to enlarge and save the image to view the details: modified photo of L'Adroit, lead ship of Gowind/Kership class offshore patrol vessels. For high resolution image click here. 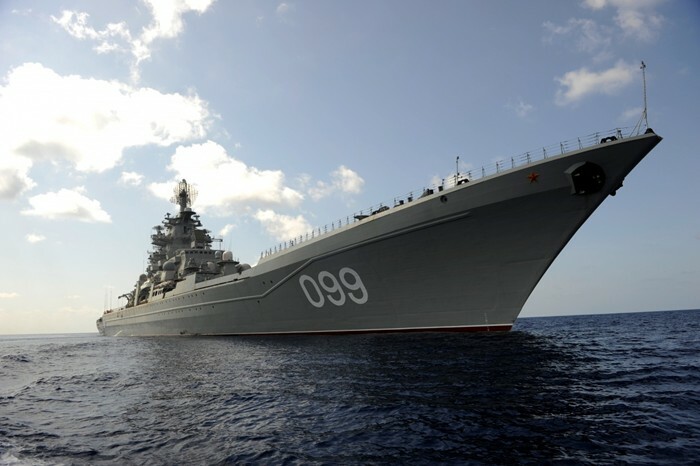 The general technical characteristics of the class is a displacement of 1,450tons, length of 87m, beam of about 13m, maximum speed of 21knots and range of 8,000n.m. (!) 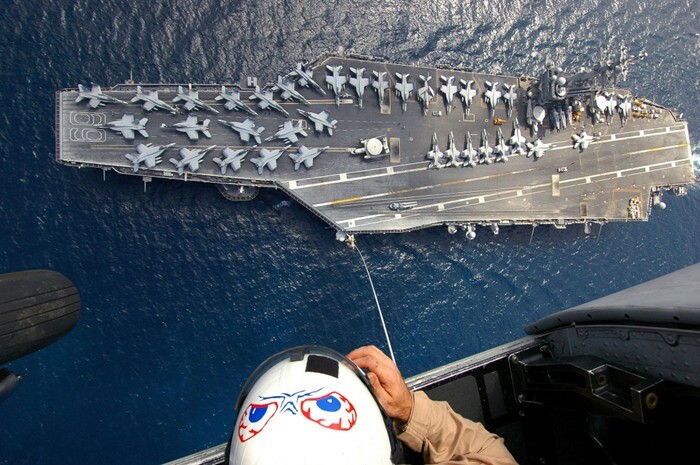 with the speed of 12knots. The endurance is approximately 21 days. 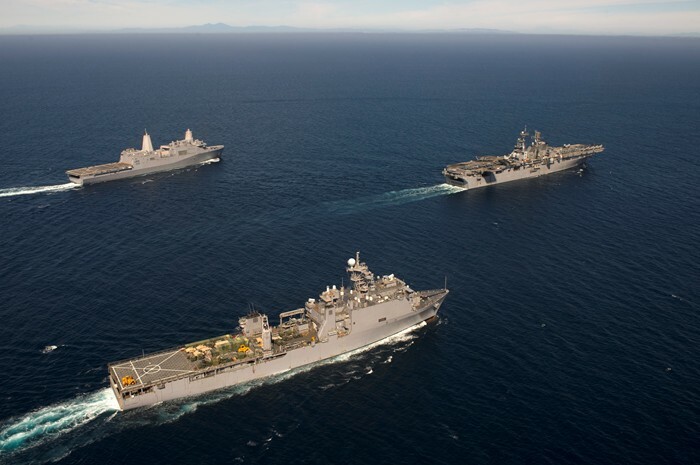 The ship has a crew of only 30-32 persons while there is space for about 30 additional personnel including aviation detachment (for the UAV), air detachment (helicopter crew), marines and/or special operations team. 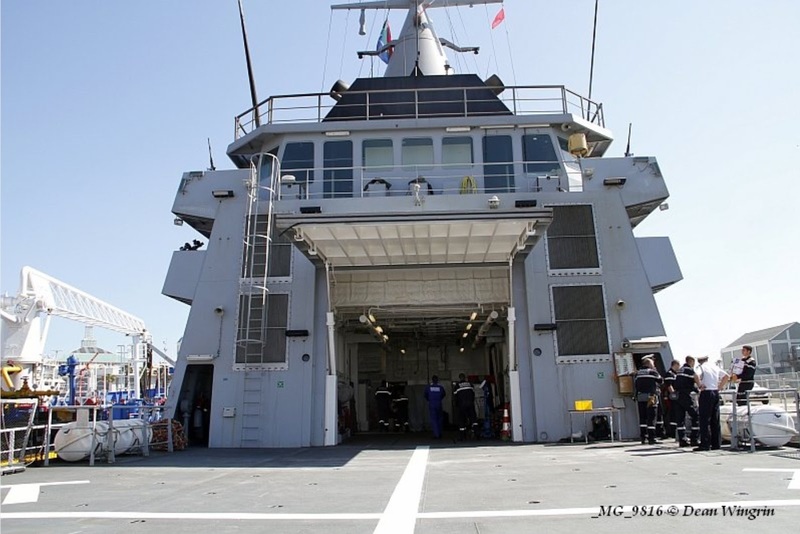 L'Adroit has a flight deck where 10-ton (maximum) helicopter can land on it such as the NHIndustries NH90 Caiman while the hangar can accommodate a 5-ton (maximum) helicopter such as the Eurocopter AS565 Panther, Westland Lynx and SA-330 Puma (watch a video here). 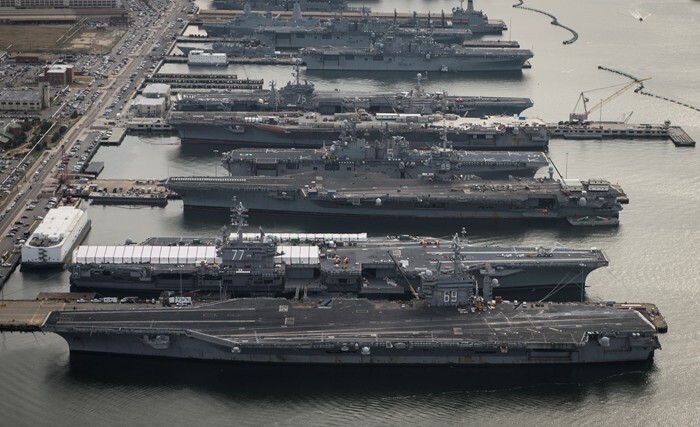 All helicopters can bee equipped with a variety of weapons such as rocket launchers, 20mm guns, ASW torpedoes and anti-ship missiles. 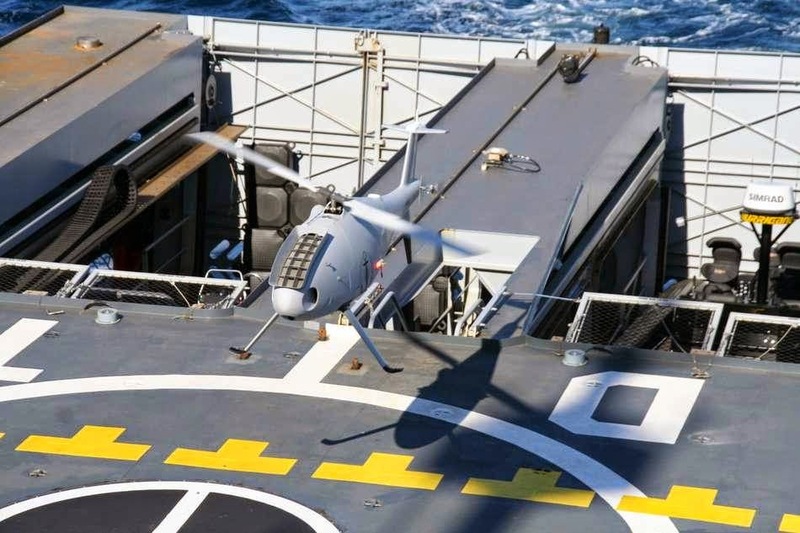 Except the helicopter, the boat can accommodate, support and guide a Schiebel Camcopter S-100 Unmanned Aerial Vehicle (UAV) that has been integrated with the combat management system of L'Adroit, another first for this warship. 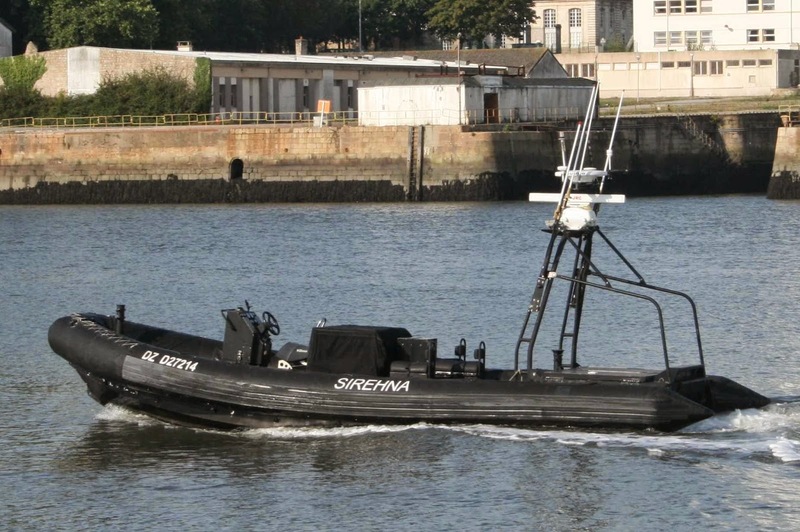 With such UAVs, the vessel can double the surveillance area that can cover without the drones by providing real-time data from the theater of operations beyond the range of warship's onboard sensors.The vessel carries two RHIB, one at each side of the superstructure while there are two stern-mounted ramps for rapid launch and recovery of Zodiac Hurricane 935 RHIB 9-meter interceptors that achieve a max speed of about 50knots and/or Zodiac/Sirehna Unmanned Surface Vehicle (USV), so in total up to four (4) RHIB for a variety of operations such as SAR operations, fisheries enforcement, anti-piracy missions, border controls and fight against terrorism. Watch a video of a Hurricane launch here. 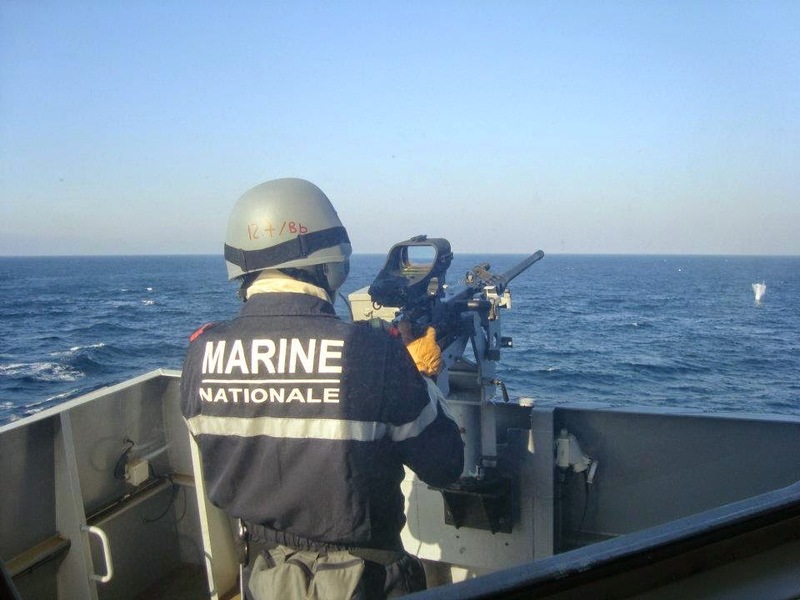 The current armament consists of a single 20mm/90cal modele F2 gun and a variety of machine guns. 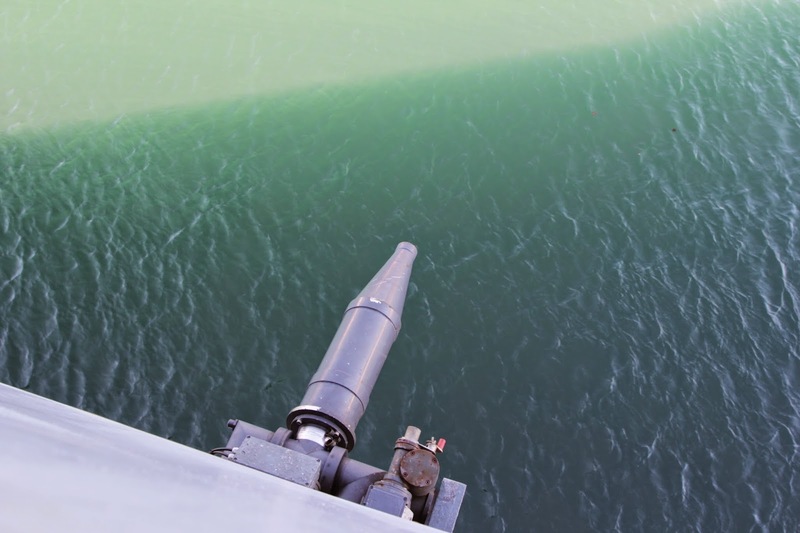 The gun might be replaced by a Nexter Narwhal 20mm Remote Weapon Station (RWS) in the future. 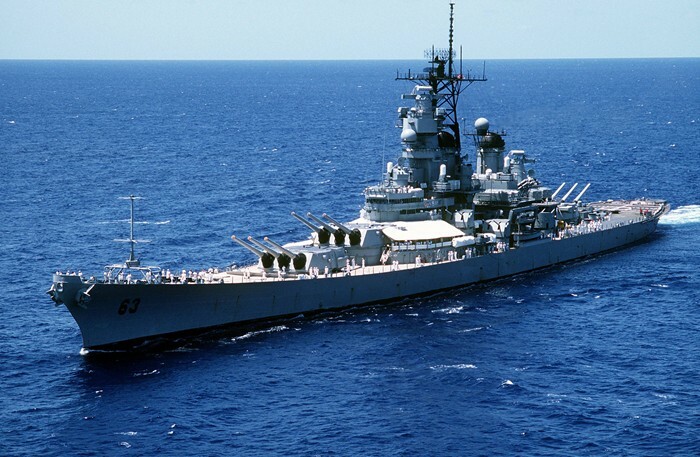 The 20F2 gun is operated manually and it has a firing rate of approximately 750-800 rounds per minute while the effective range against aerial targets is about 1,500-2,000m. The gun has two 150-cartridge boxes on each side of it. 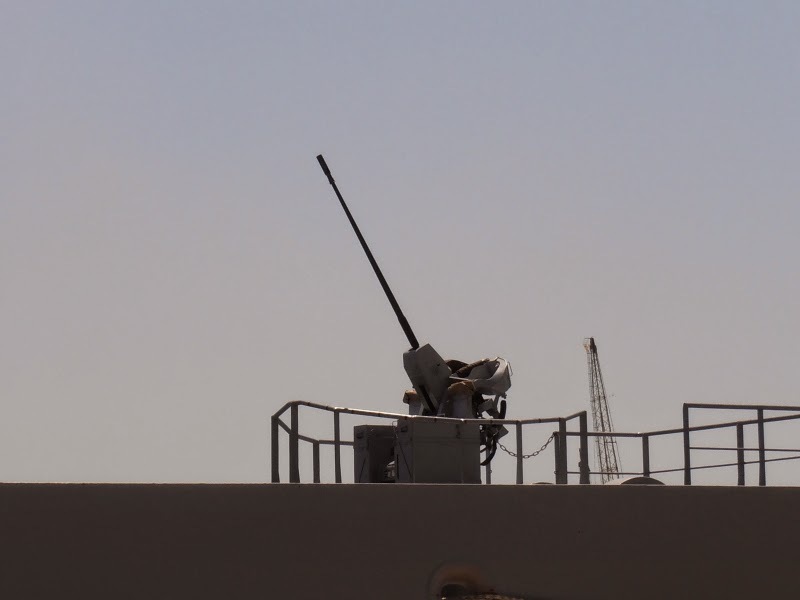 The gun is maneuvered by the body of the gunner, who is attached to the weapon directing the fire via an optical visor. 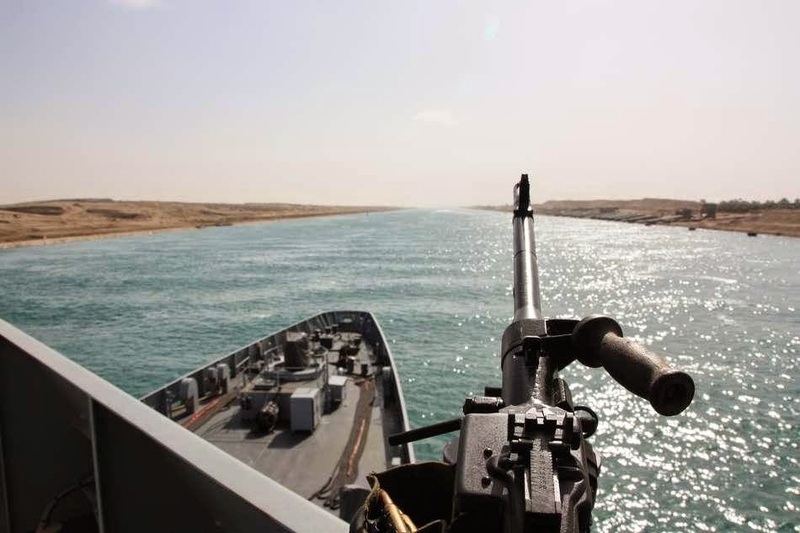 At each side of the bridge there are mounted one M2HB 12.7mm heavy machine gun, one 7.62mm light machine gun and one water cannon. 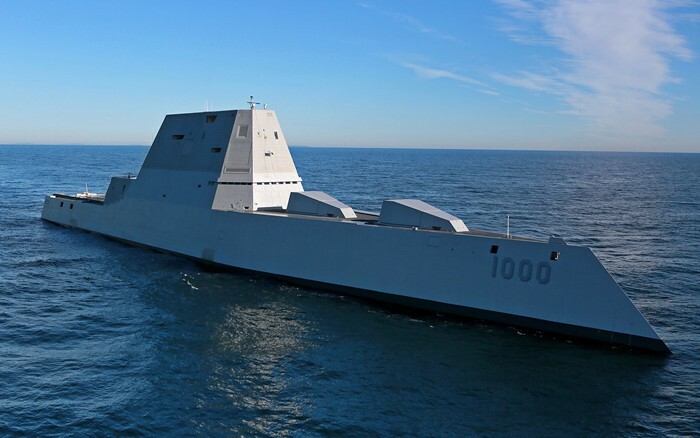 The foredeck has a large space for installation of missile system if needed, more likely two twin launchers for Exocet surface-to-surface missiles (SSM). 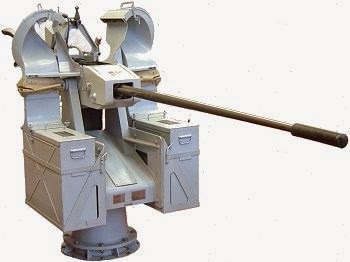 The 20 F2 gun of L'Adroit. 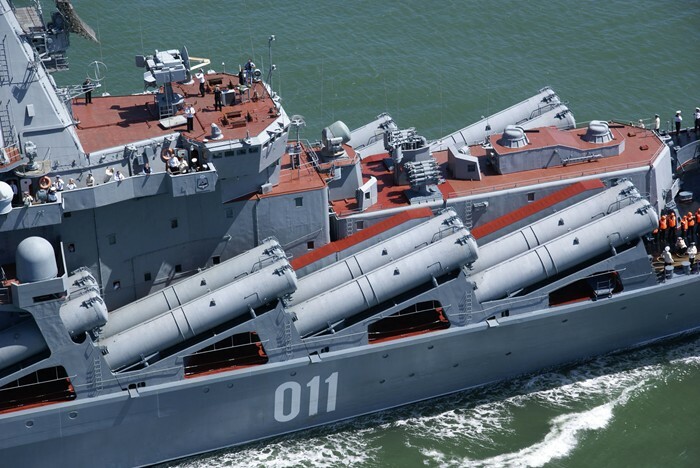 ﻿﻿The vessel has two Lacroix Defense & Security Sylena decoy launchers, a system that protects the ship against radar- and/or infrared-guided missiles. 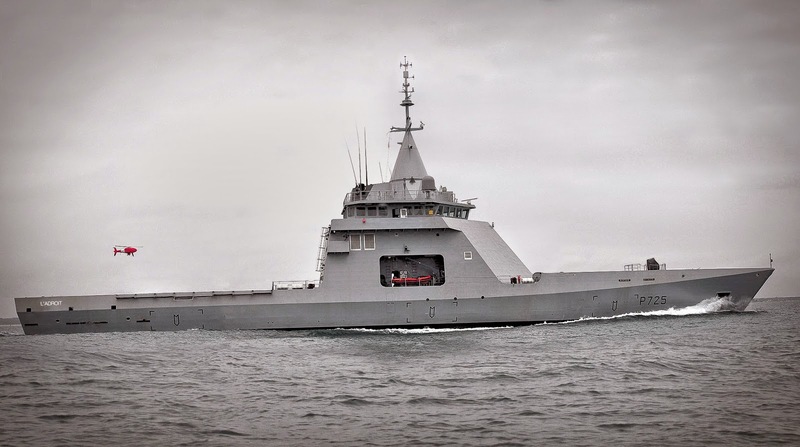 The system is integrated with the Thales Vigile electronic warfare sensor in the DCNS Polaris combat system. 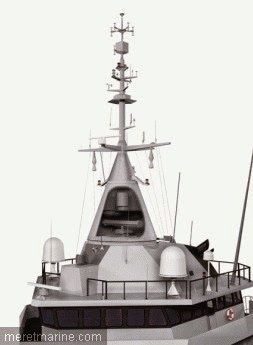 The see-through composite radome houses two Terma 2D surveillance radars, the Scanter 4102 and the Scanter 6002, sharing the same antenna (dual Scanter radar suite). 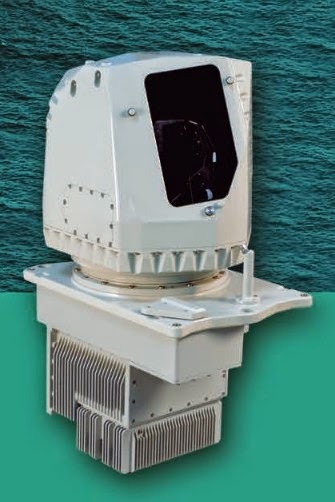 Scanter 4102 is a general medium range surveillance radar while Scanter 6002 is Terma's most modern X (I)-band 2D solid state radar optimized for improved surface and low airspace situational awareness in all weather conditions (for example very small non-metallic targets in sea states 4-6) and to provide the approach control for the helicopter. 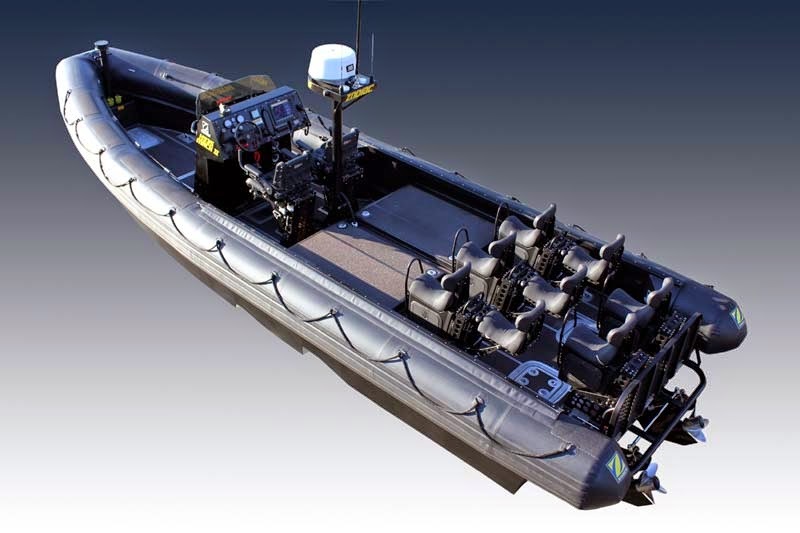 These characteristics of Scanter 6002 make it ideal for search-and-rescue (SAR) operations. 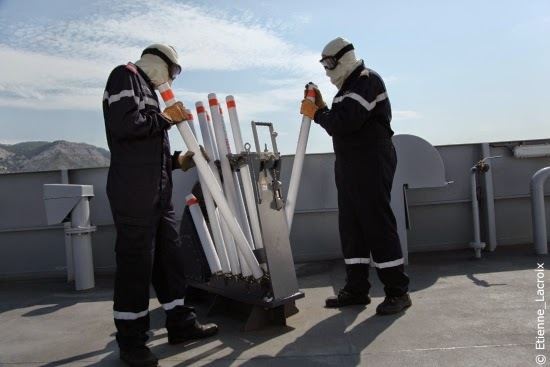 This conical radar transparent mast structure provides the sensors that are mounted inside a full 360-degree coverage. The upper part of the radome hosts the UAV guidance antenna. 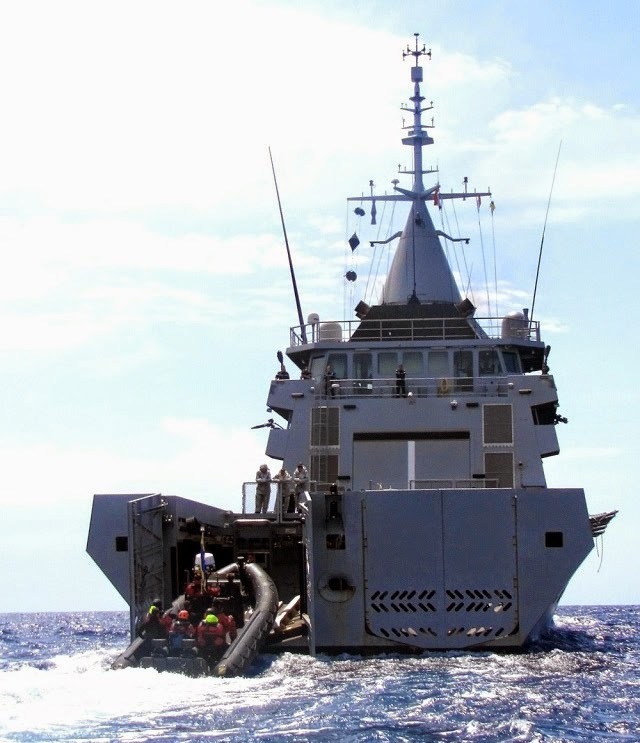 The mast supports a FLIR Talon located at the aft side, a navigation radar at the front side, an IFF, a USV guidance antenna, Thales Vigile LW Radar Electronic Support measures (R-ESM) and Thales Altesse Communication Electronic Support Measures (C-ESM). 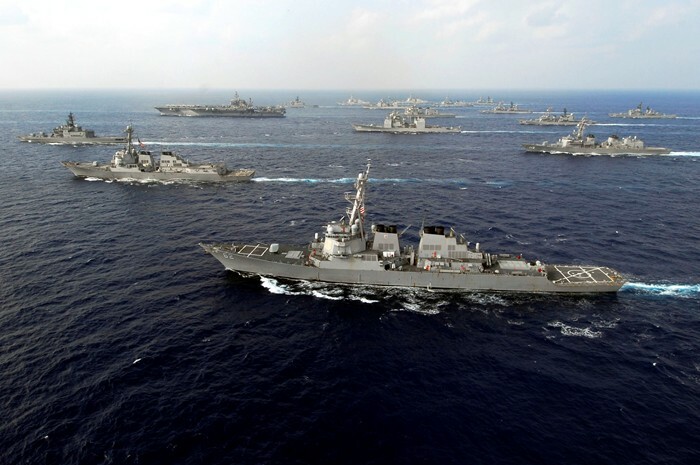 FLIR’s Talon compact EO/IR sensor is integrated with the Polaris Combat Management System (CMS) to detect vessels and other objects >10 Km standoff range during EEZ and patrol duties. 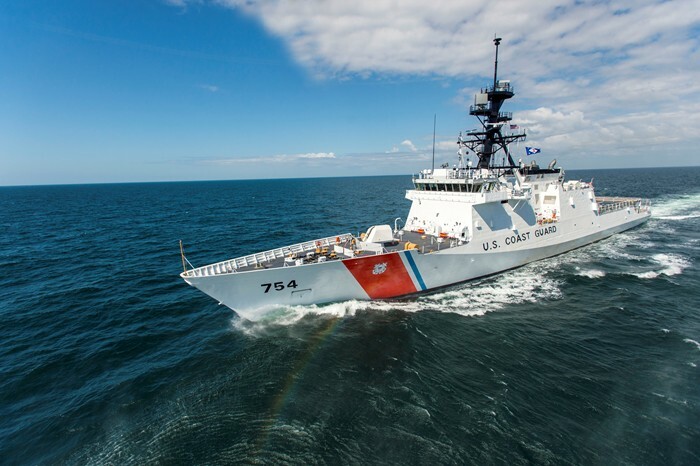 The the Talon provides up to six payloads: thermal imager, color CCD, low light, laser pointer or laser illuminator, laser rangefinder, and IMU/GPS. 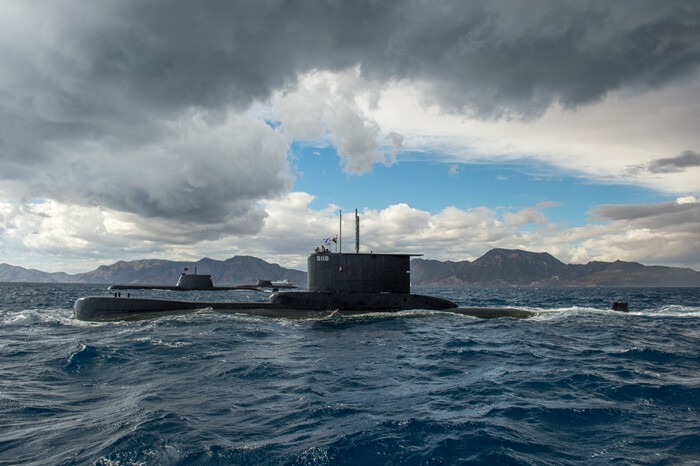 Thales ALTESSE is a high performance wideband for Communication ESM providing early warning and tactical situation awareness capabilities based on interception and direction finding of the radio communication signals in HF and V/UHF band. 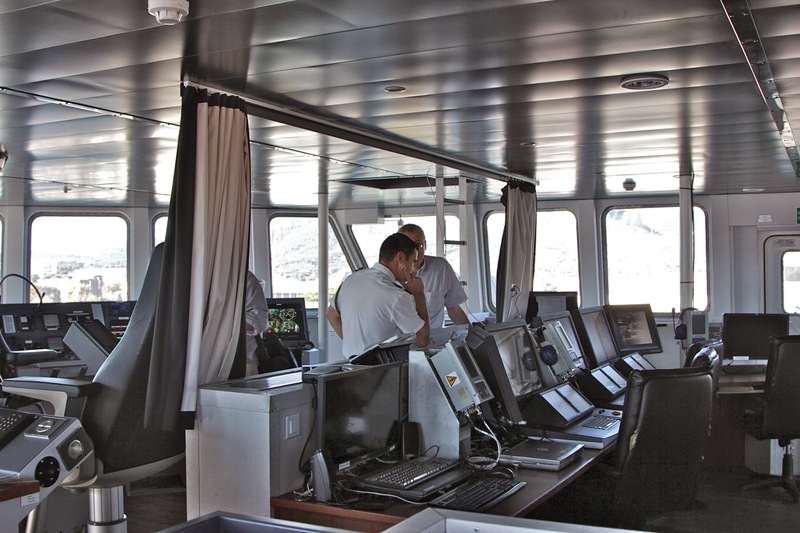 The system is integrated with the combat management system of the ship. 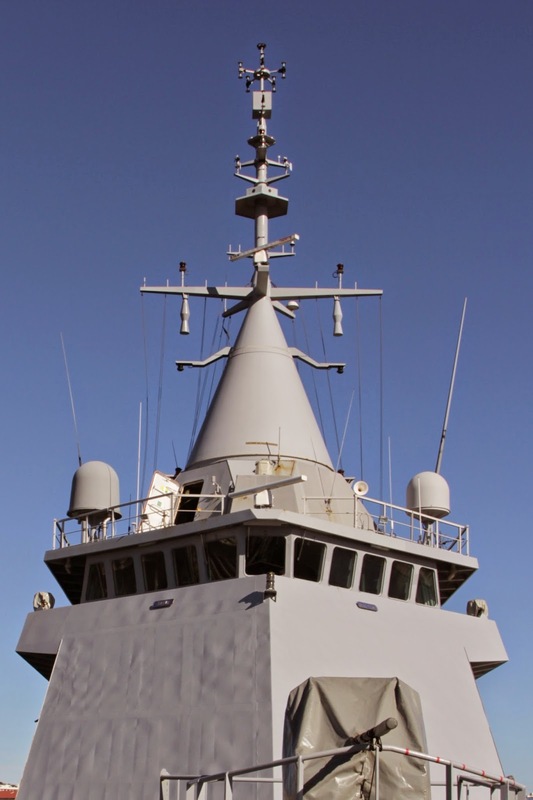 On the roof of the bridge there is a second navigation radar and at the base of the mast a Sagem EOMS NG multifunction optronic system. 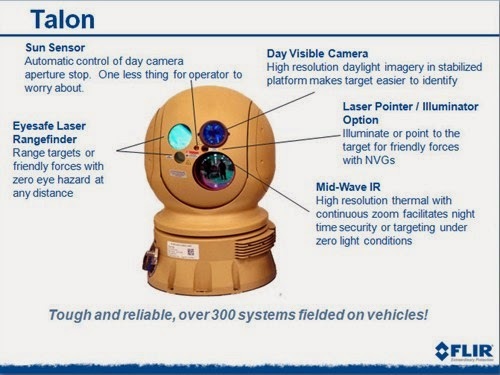 EOMS NG is a multifunction optronic system, unique of its kind. 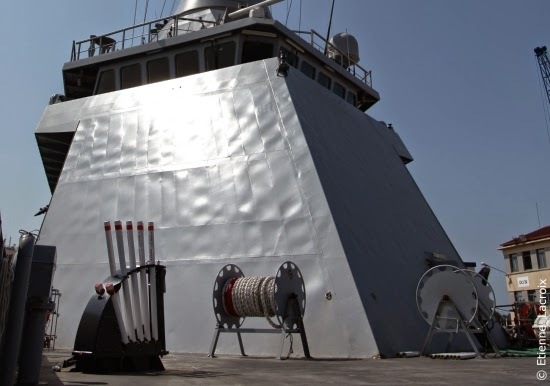 Designed for surface vessels, it combines long-range infrared panoramic search and track (IRST) with electro-optical gun fire control in a single unit. 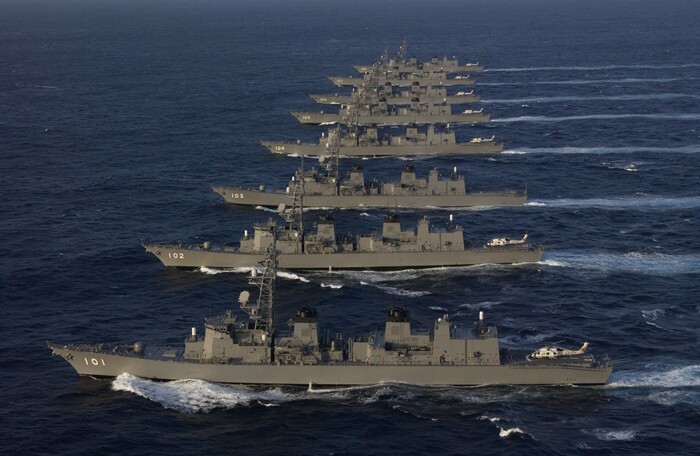 It is a highly effective solution for self-protection against symmetrical and asymmetrical, surface or air threats as it provides automatic detection and tracking, identification, and gun engagement of all surface and air targets, from anti-ship sea-skimming missiles to fast incoming attack craft. 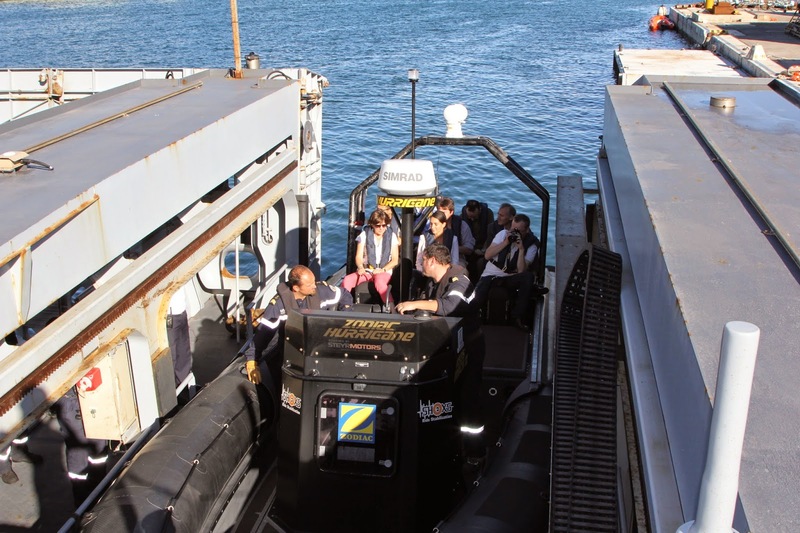 It is fully remote controlled from the ship’s Combat Management System (CMS) or via the operator console provided.